The ramp up to the start of the new season continues to edge closer as this weekend see’s the First, Women’s and Reserve teams all in action throughout the weekend. 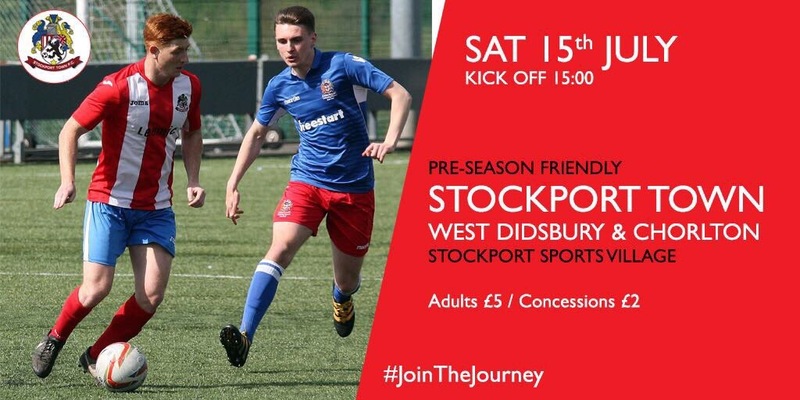 Steve Settle’s side make the short trip to the Stockport Sports Village where they will face Stockport Town for the second consecutive pre-season. Last weekend Setts was able to hand shirts to 19 players last weekend, including a number of debutants and trialists, as West were held to a 3-3 draw at home to League Champions Atherton Collieries. This weekend will see the tough task of the SSV’s 3G surface, facing a potential future FA Vase opponent and a side rejuvenated since the arrival of new manager Dave Wild. Stockport Town were formed in 2014 amidst the collapse of former NWCFL side Stockport Sports and were admitted to the NWCFL at the beginning of the 2015/16 season narrowly missing out on promotion via the playoffs. In their second season in the NWCFL they finished a solid 10th place despite having their squad decimated mid-season when Manager Calum Sykes left to join Premier Division side New Mills and capped off by a 10-0 defeat to City of Liverpool on New Year’s Eve. Manager Dave Wild saw a late surge up the table but ultimately missed out on the play offs in arguably the most competitive Division One in years. However, under Wild the Lions will be considered amongst the divisions favourites for promotion this season. Kick off on Saturday is 3pm with admission price at £5 for adults and £2 concessions. For those who cannot make the trip to the SSV the Reserves are in action on Hardy Farm when they play their first pre-season fixture of the summer, 2pm KO. On Sunday, West Didsbury & Chorlton Women’s Team will take to the field at home for the first time when they face Cheshire Women’s League side Wythenshawe Amateurs. West’s Women began life last Sunday with a 2-0 win away to a tough Bolton Lads & Girls side with Jami Hodges and Demi Noon scoring the goals either side of half time. It wasn’t all plain sailing for West however as they lost Carrie Hancock and Noon to potential long term injuries during the game at Hacken Bridge Road. 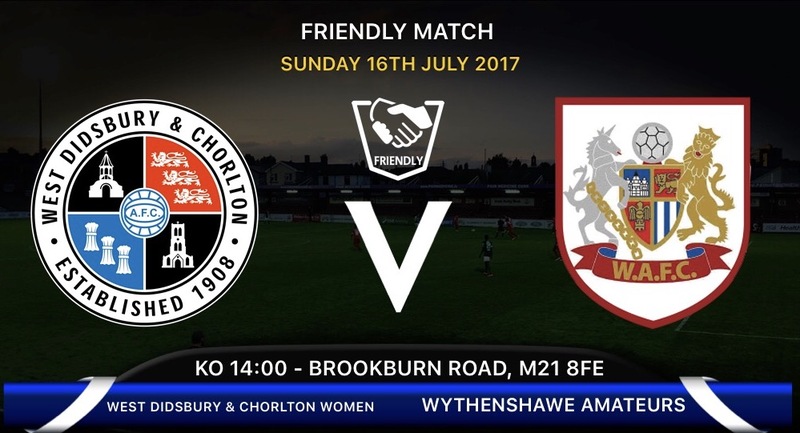 This Sunday they will face a Wythenshawe Amateurs side who finished in the Cheshire Women’s League Division One last season and whose men’s team play in the Premier Division of the Manchester League. The Ams finished fifth in the Cheshire League last season comfortably avoiding relegation albeit. Kick off on Sunday is 2pm with admission FREE. The bar will be open as per usual with a selection of hot and cold drinks available. Everyone is welcome. As always we will have a round up from all the action on Monday including match reports, interviews and subject to correct camera operation, goals.